I learned the multidirectional technique from JC Briar, and used it to create a herringbone effect. The pattern offers a choice of scarf ends – pointed (if you’re up for a bit of a challenge), or square. 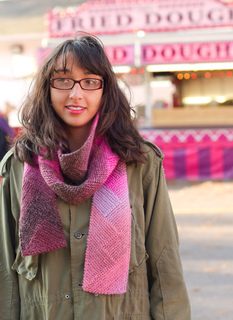 The intersting multidirectional knitting, added to the changes in color, make this a fun scarf to knit! 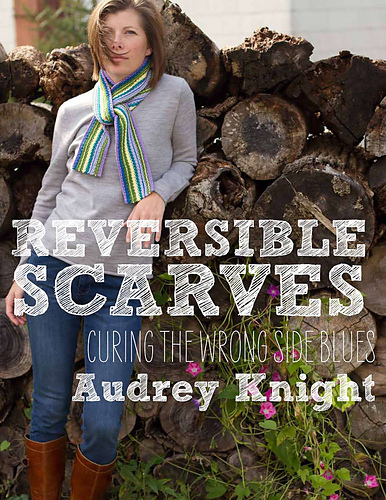 A sidebar in the book explains how to make the scarf your own by giving the formula for calculating gauge and stitch counts for any yarn you might like to use.